This earthy-tasting pate, pepped up with spices, is finger lickin’ good with crusty bread and a green salad. Serves 4. 1. 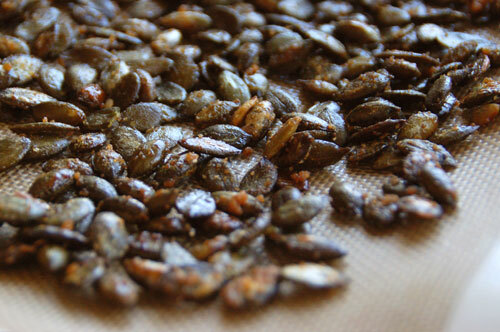 Toast the pumpkin seeds in a frying pan without oil, and let them cool. 2. Grind them coarsely in a food processor. 3. Add all the other ingredients one by one and continue blitzing, putting in the spring onions last. 4. Refrigerate for an hour before serving.